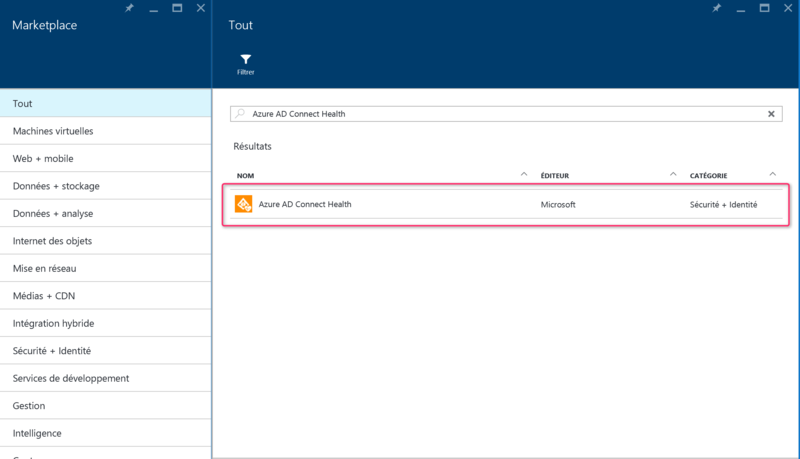 In the Marketplace window, click Azure AD Connect Health and then in the right pane, click Create. My Domain controller execute Windows Server 2016 TP5, after you download the Azure Ad Connect tool I proceeded to install on this server. After installation, a Wizard starts. 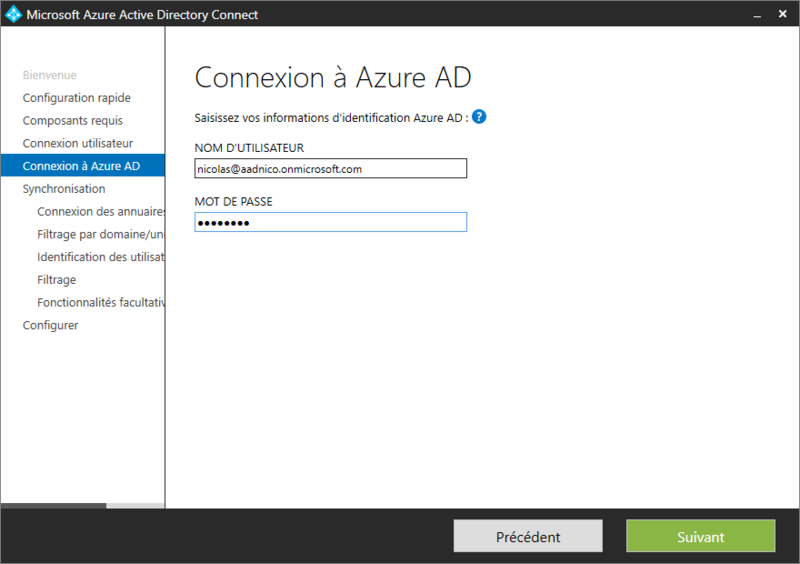 Accept the license and then click continue in the Welcome to Azure AD Connect window.In the next window, click on Customize in order to perform a custom installation. In the next window, it is possible to proceed to the Setup customization (using a base sql,…) and then click install. In the login window, select the password synchronization option, and then click Next. Enter your credentials for the administrator account azure (login / password) and then click Next. 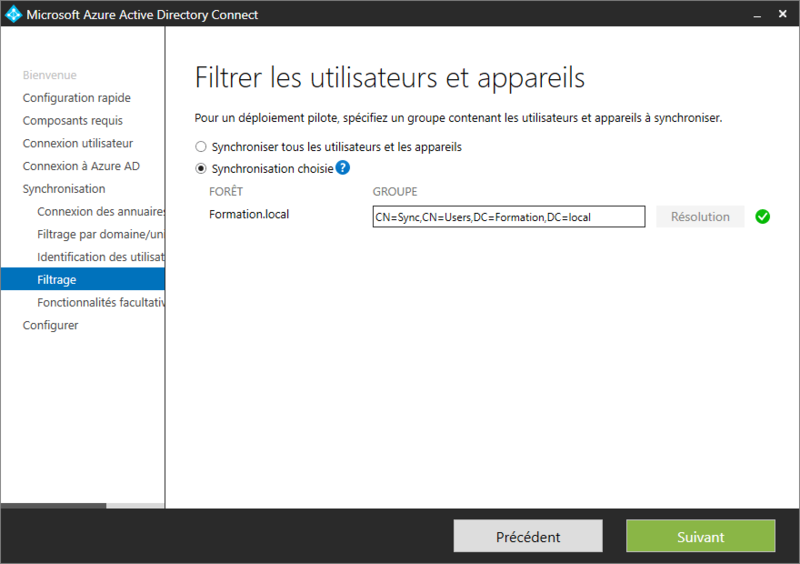 Perform the same operation for the account active directory (ADDS). In order to allow better granularity, filtering will be operated by a security group. 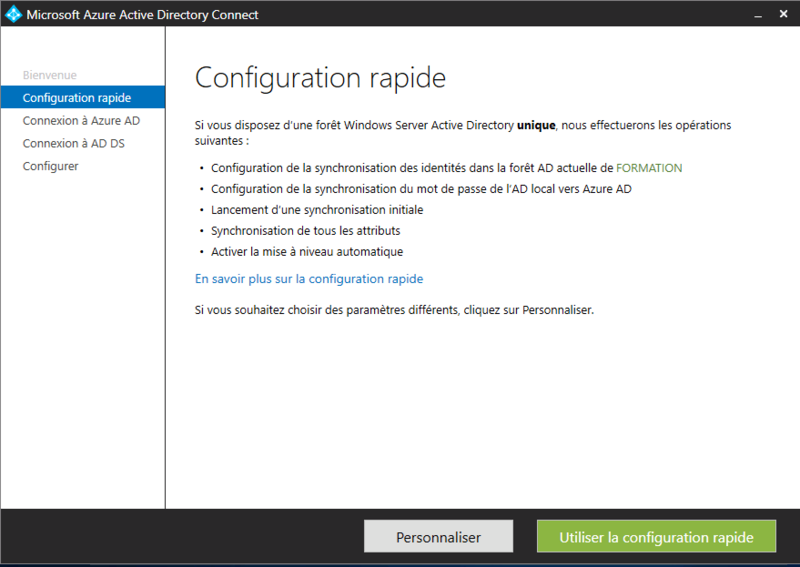 Thus it is necessary that the account be member of the group to be synchronized in Azure AD. Click next in the window filtering by domain or organizational unit without making a change. In the filter the users and devices window, select the radio synchronization button and enter the name of the group. Validate by clicking on resolution. Finally click Next. Validate the various windows that follow without modification. It is now possible from the portal Azure track the status of synchronization between the two directories.